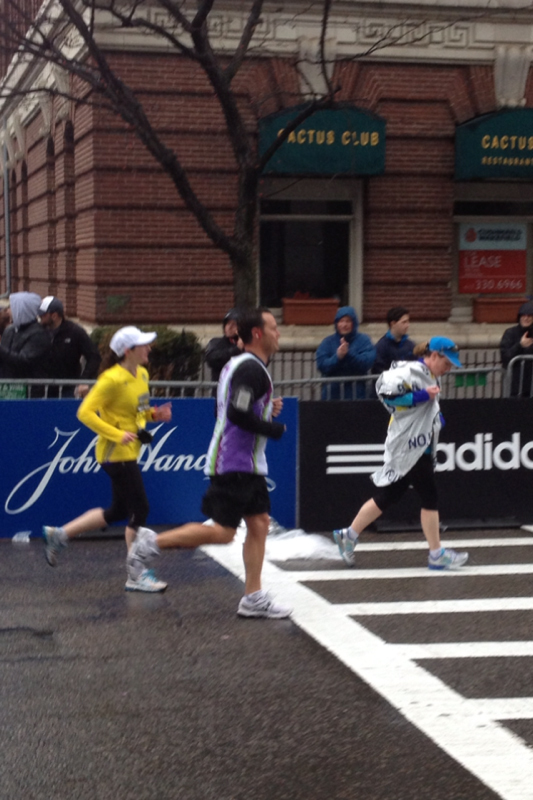 We spoke with Brendon Giblin, Owner of Brendon Properties, about his experience running the Boston Marathon this year. BDG: How was the race? What was the overall experience like? Giblin: The experience was great! The weather conditions were very tough but added to the challenge. BDG: What was your time? Giblin: My time was 4:49 I believe. BDG: How do you train for this? Giblin: I was not able to do much training. I try to stay in good shape and rely on mental toughness and a commitment to the charity I run for. BDG: Impressive! Which charity do you run for? Giblin: I run for my great friends Ashley and Ari Haseotis and One Mission. One Mission is a pediatric cancer-based charity that strives to improve the experience of children and their families as they endure treatment. The work they do is extremely touching and motivating. Please look the charity up for additional information as it really is a fantastic group with amazing founders and leaders. BDG: How many years have you been doing the race? Gibin: I have done two Boston's and am proud to say that I have raised approximately $110k for One Mission. BDG: Have you always been a competitive / long distance runner? Or is this something you recently picked up? Giblin: I have never been a long distance runner and still do not consider myself one.